Installations, architectural models, drawings, prints and gigantic sculptures are waiting for you at this autumn’s major exhibition. 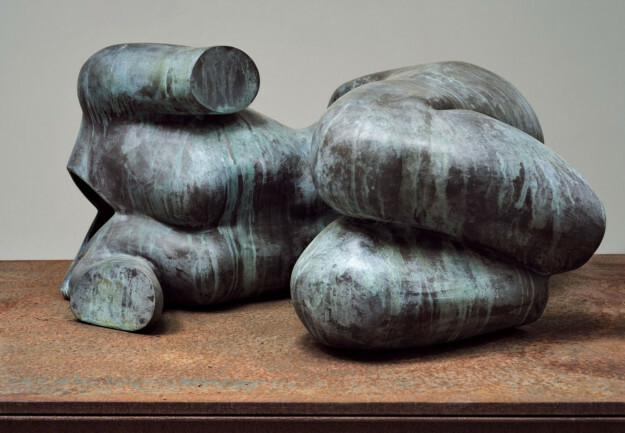 Thomas Schütte is one of the most seminal artists of his generation, and is known mainly for his sculptures. 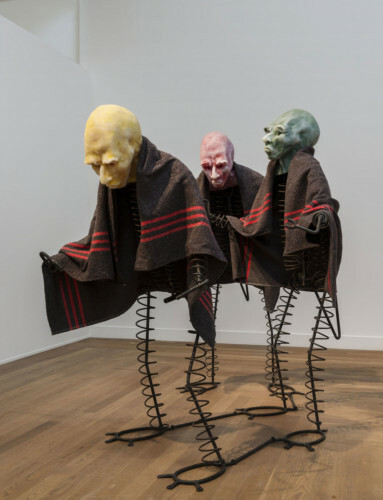 The exhibition Thomas Schütte: United Enemies takes the artist’s sculptural works from the past two decades as a starting point. 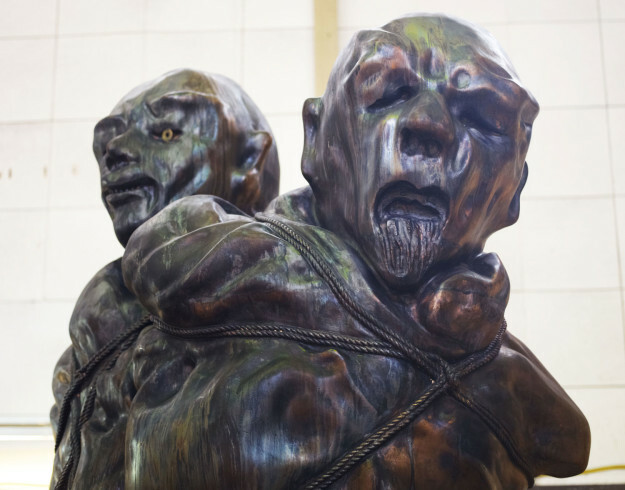 Schütte explores shifts of scale – juxtaposing the intimate and personal with the monumental. 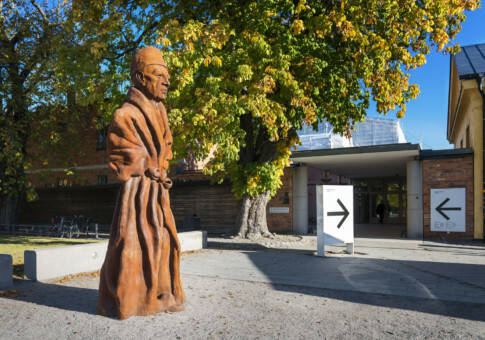 A colossal steel figure outside the museum entrance, Vater Staat (2010), observes visitors as they arrive. 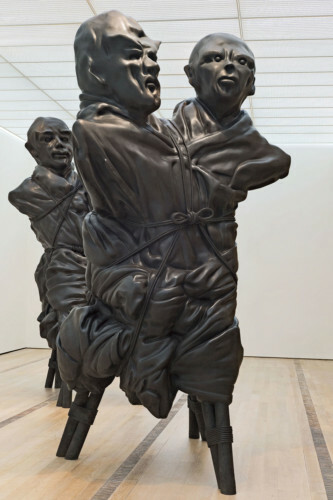 The key work in the exhibition – the monumental bronze sculptures United Enemies (2011) – originate in his small, sketchy figures with heads of modelling clay made nearly twenty years earlier. 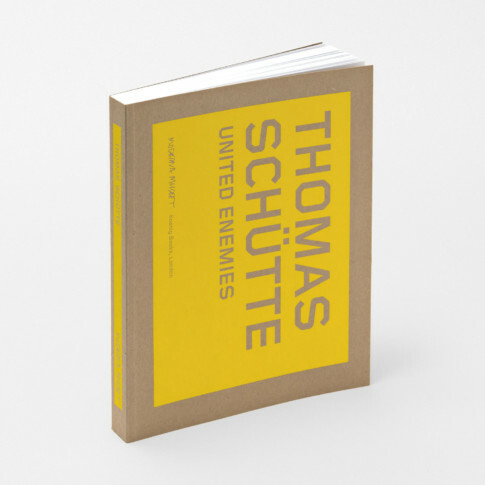 Thomas Schütte was born in 1954 in Oldenburg, north-west Germany. 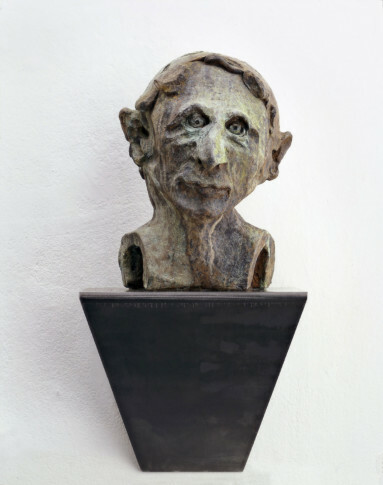 He was enrolled at the Kunstakademie Düsseldorf in 1973. Among his fellow students were many of today’s internationally acclaimed artists, including Thomas Ruff (b. 1958) and Katarina Fritsch (b. 1956). 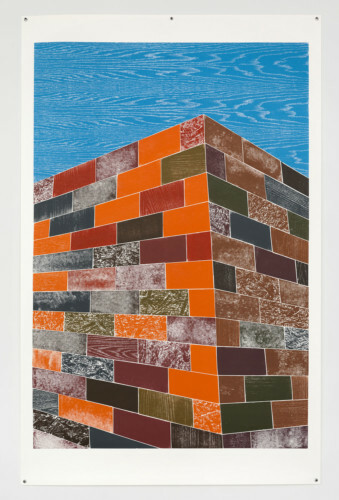 The works from his student years are distinctly influenced by 1970s minimalism and conceptualism. 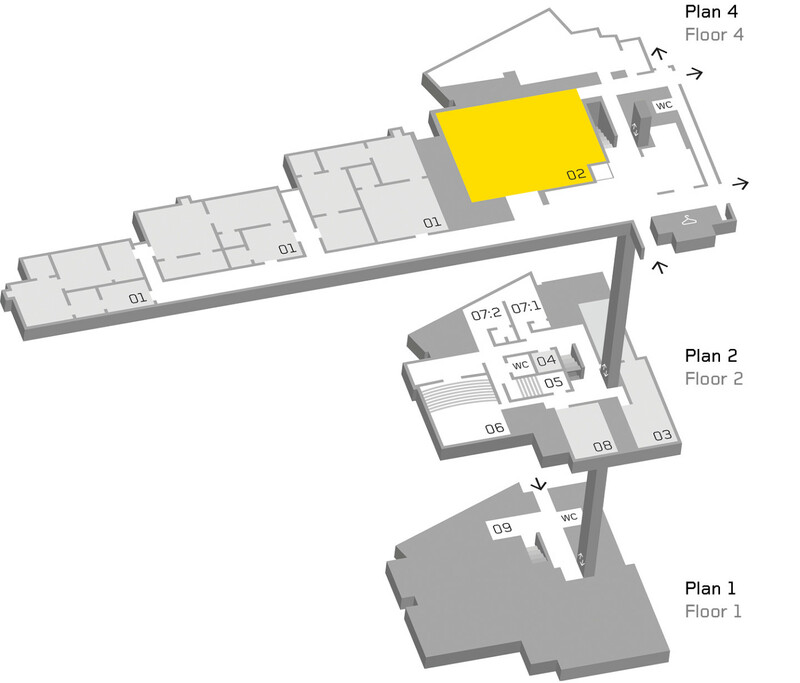 Various kinds of architectural models have a key role in Thomas Schütte’s artistic practice. He refers to these explorations as a way of opening up works to the viewer: “I use models because they are something anyone can understand. You can see them as a prototype for something bigger, something seen from a child’s perspective; you could see them as a public stage.” In his series One Man Houses (2003-2005), Schütte has combined units from an industrial ventilation system into shiny, minimalist sculptures. Later, Schütte made the houses in wood, slightly larger than life, and fitted them with carefully-made furniture. In 2007-2009, one of the houses was built in a life-size version in the Roanne region in France, and more recently, several of his architectural models have also been produced in the same dimensions. The most recent example is his own foundation and sculpture hall Skulpturenhalle, outside Düsseldorf, which opened in spring 2016. 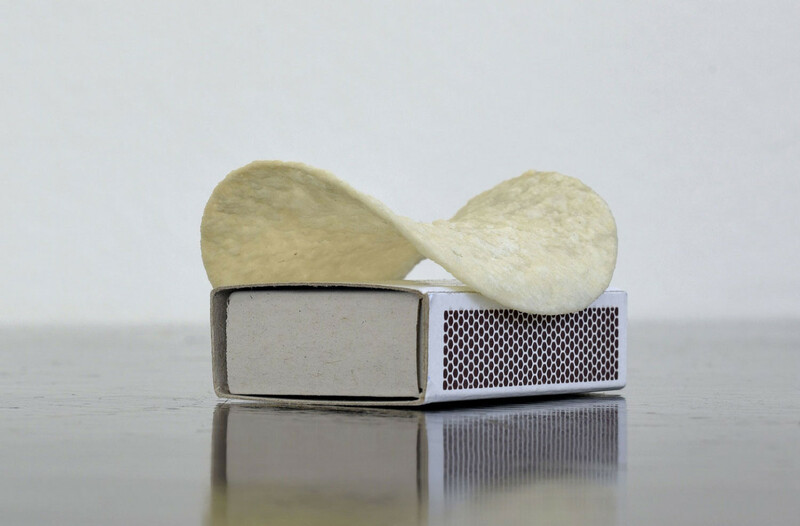 The architectural model Pringles (2011) is an early version of the building, where the curved roof is modelled on a potato crisp placed on a matchbox. 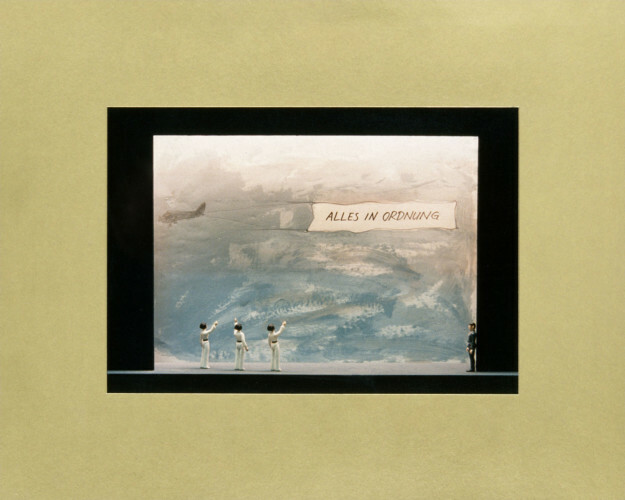 The photographic series Skizzen zum Projekt Grosses Theater (1980) consisting of stiff action figures against painted backdrops is the earliest work in the exhibition. In one of the scenes, three Star Wars princesses appear under a banner with the Latin words “Pro Status Quo”, a famous phrase that has been interpreted in a variety of ways in history; the literal translation is “For that which is”. Opposite them, Mr Spock from Star Trek raises his right arm. In another picture, the Leia princesses are waving at an aeroplane with a banner reading “Alles in Ordnung”. When we look at these miniature sci-fi characters against their backdrops, however, life seems to be anything but orderly. 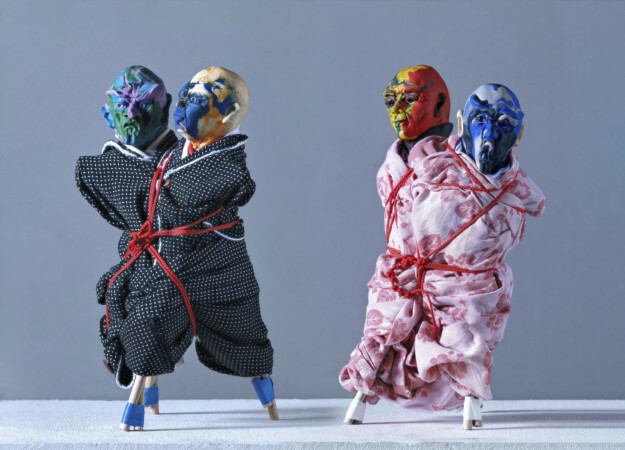 Thomas Schütte’s artistic practice is characterised by a rare combination of gloom and humour. 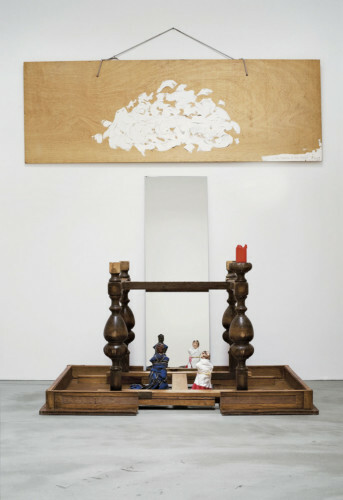 His works may appear unnerving and playful at the same time. Existence seems to be off balance, the familiar becomes absurd and alien. Action figures can take centre stage, and puppet-like dolls be blown up into monumental giants. Thomas Schütte addresses life’s eternal questions, without offering any unequivocal answers. 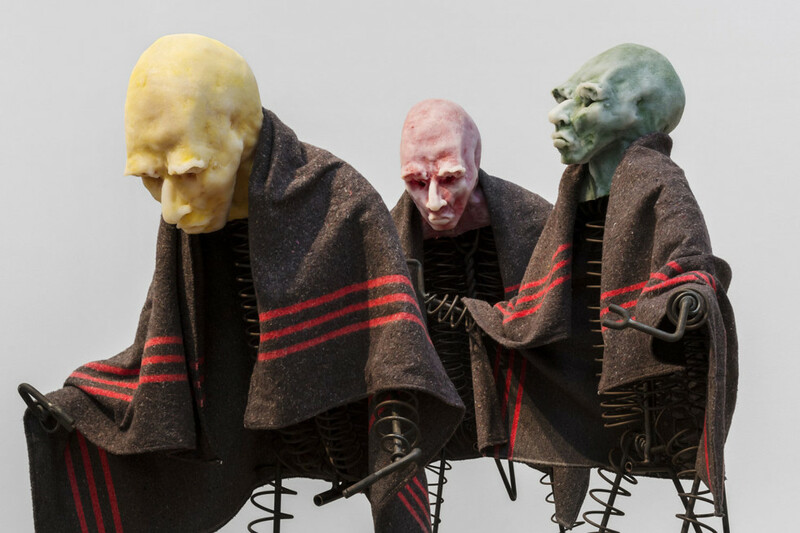 The exhibition is organised by Moderna Museet in close cooperation with the artist, it is the first major museum presentation of Thomas Schütte’s body of work in Sweden. Thomas Schütte is born in Oldenburg, north-west Germany.